Pam Collins is a mostly self-taught artist, who works in watercolors, mosaics, and fabric (not simultaneously). She has studied under nationally known artists in pursuit of her favorite mediums. Collins has lead numerous watercolor, fabric and mosaic workshops in her studio, at area art centers and school districts. Pam loves to share her passion with others and is inspirational in her work. She has received grants from Five Wings Arts Council, funded by the McKnight Foundation, to further her education and grow with new experimentation. 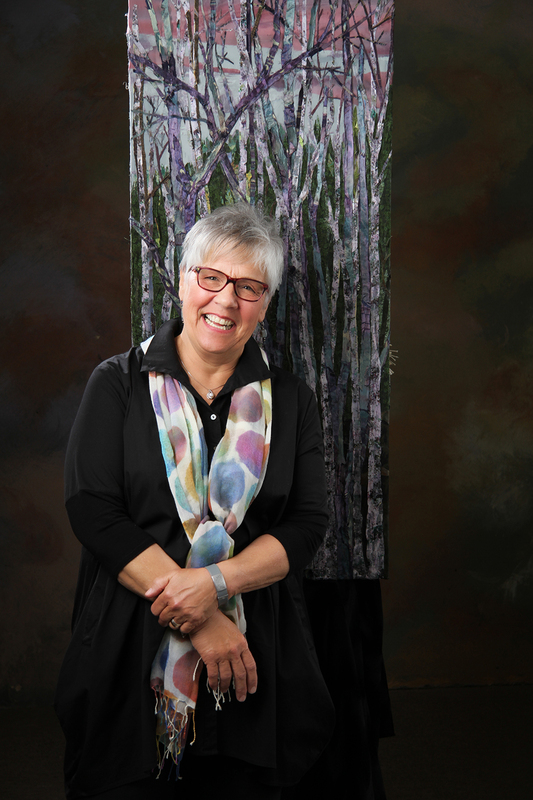 Pam has served at various Central MN schools as Artist in Residence teaching in all three medias. Other classes developed as her love of Mosaic and Fiber Paint blossomed. Pam has led classes for a wide variety of students always sharing her passion for art and personal expression. Pam currently resides and creates art in Staples, MN. I have taken three classes with Pam, two in mosaic and one fabric painting. It is evident that Pam loves what she does and believes in the inner artist in all of her students. She is passionate, energetic and affirming, and, she is able to communicate her processes in understandable steps. I consider myself to be "not very visual" and yet since taking her classes I have made many art pieces. Some of them I've sold! I participated in a mosaic class with Pam. I made a house address plaque, love it, still! Pam was amazingly patient and so helpful with design elements. I am a person who needs to be prodded and coddled; she did so with humor and encouragement. I also participated in a mini barn quilt class, Pam was one of the instructors. I left with a finished mini barn quilt. Best money I spent on crafting in forever! Pam helped with color and technique. I always feel supported and encouraged by her presence. She is so talented and such a good teacher. She makes something that seems like it will be so hard just delightful. I've loved everything I've made. She's just a bundle of happiness and encouragement! I would sign up for any classes she teaches. Pam's art is alive with color and texture. It brings me joy to see it on my wall each day. I see new things each time I see it in a different light.